I love colourful desserts or I should say I love looking at them. I don't like rich, gooey, sweet, desserts but less sweet flavour filled desserts. The only time that we have desserts at our house is on holidays and birthdays. If we ate them regularly we would definitely regret it. Food is a big part of any holiday and the sweet part of the meal is always special, that is one reason I like to include it in some of the pieces that I produce. I picked this postcard up in Switzerland when we were visiting our son and his wife. The colours are wonderful. 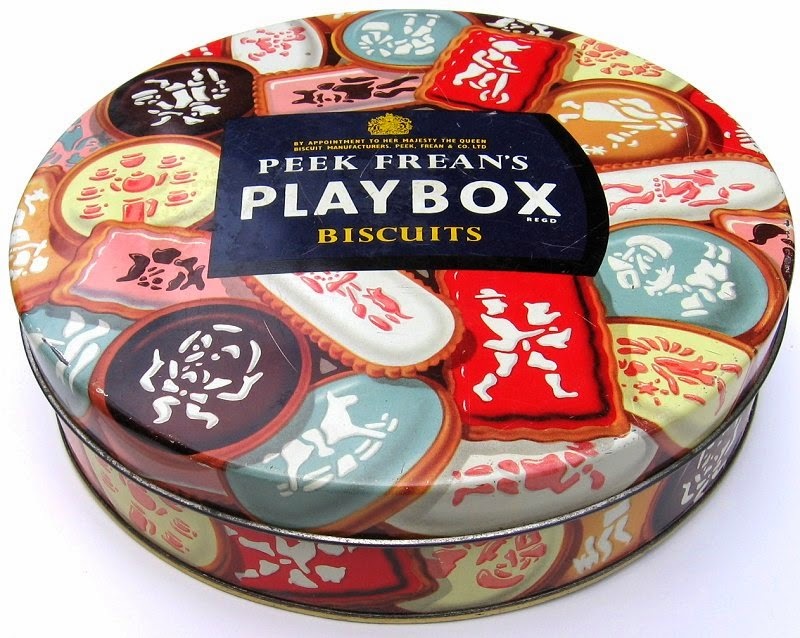 This tin of English "Playbox Biscuits" is from the 1950's. By the way, biscuit is the English term for cookie. The plain biscuit of no special note has a layer of white or coloured hard icing on top. 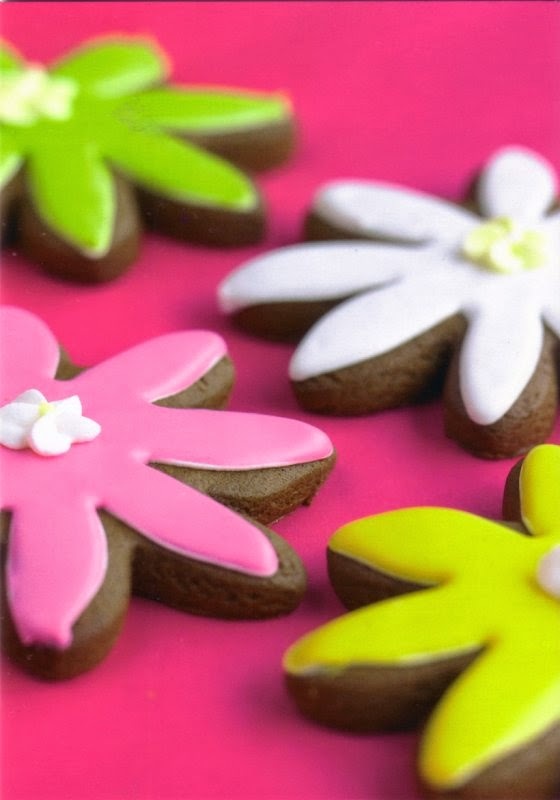 It is then stencilled with another layer white or coloured icing. The images and taste are pure childhood cuisine. 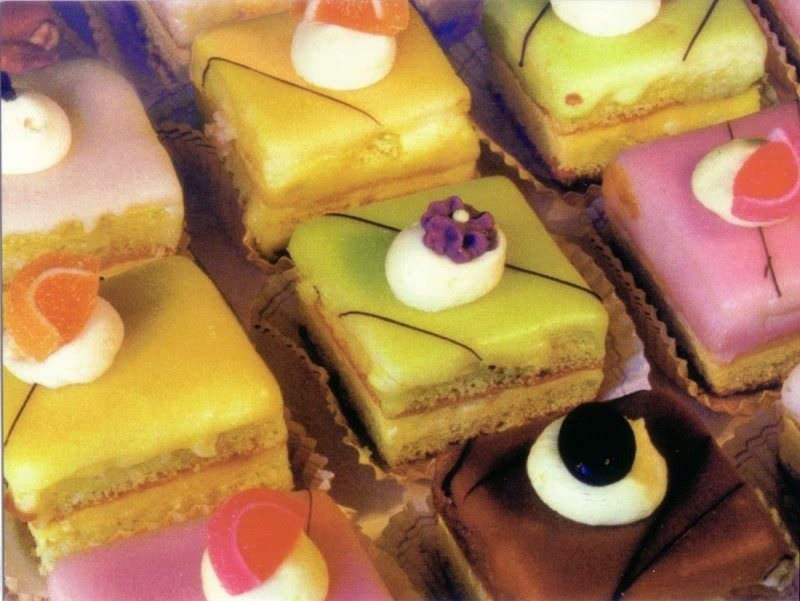 A plate of these cookies pictured on a postcard that I bought in Switzerland would brighten anyone's day. A very large slice of fruit cake, a jellyroll, a plate of pastries with strawberries, and an iced cake with it's sides smothered in toasted coconut then topped with strawberries, pure heaven. 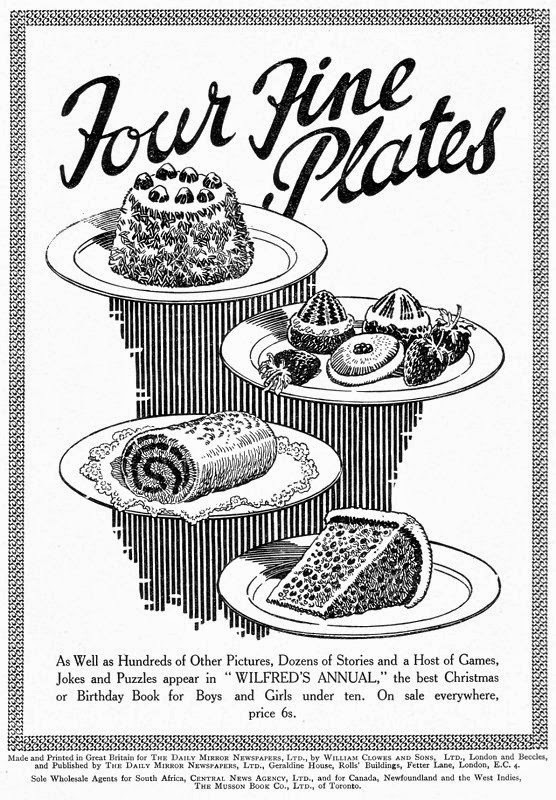 This image is from a 1930's "Pip and Squeak Annual". One more Swiss postcard, this time showcasing a muffin recipe that is on the back. 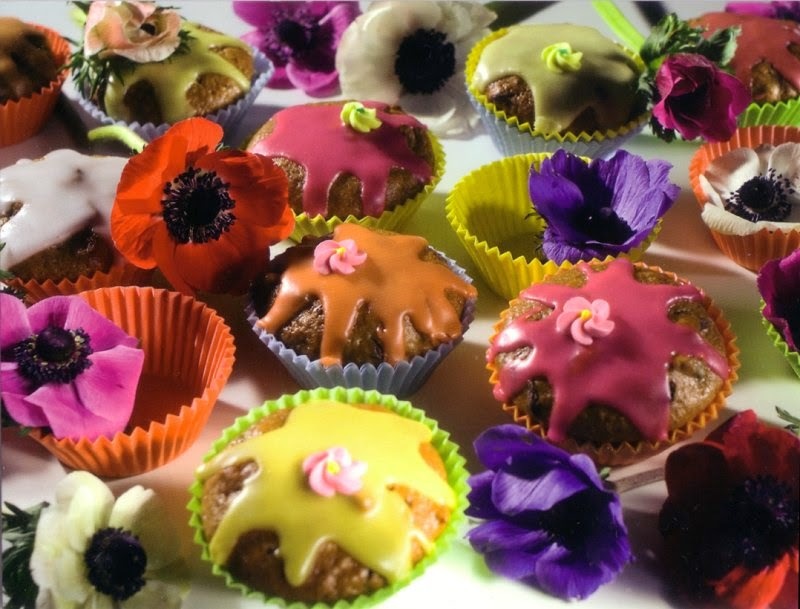 Bright coloured icing, the vibrant colours of the flowers, and muffin cups that are equal to the flowers and icing in intensity. I LOVE COLOUR! This photograph and the following five photographs are from the "Cheese Boutique" in Toronto. They very kindly allowed me to take photographs when we were there last December. 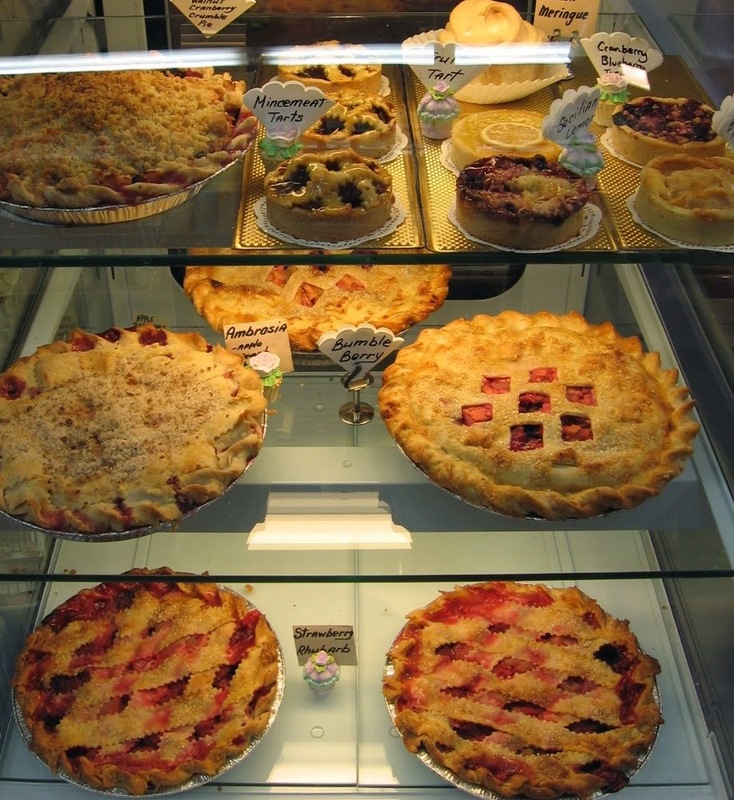 These pies are very casual with an appearance of being homemade, I like that. Cookies of all sorts with two sizes marzipan pigs standing in front. The pig is decorated with a four leaf clover and a mushroom. The pig, mushroom, and four leaf clover are symbols of good luck. Marzipan pigs and some of the cookies are specifically for Christmas. Who needs dinner when you have a lovely dessert this size to look forward too? More tasty treats, and yes, they are for reference. I do like looking at them though. I probably should have been a pastry chef. 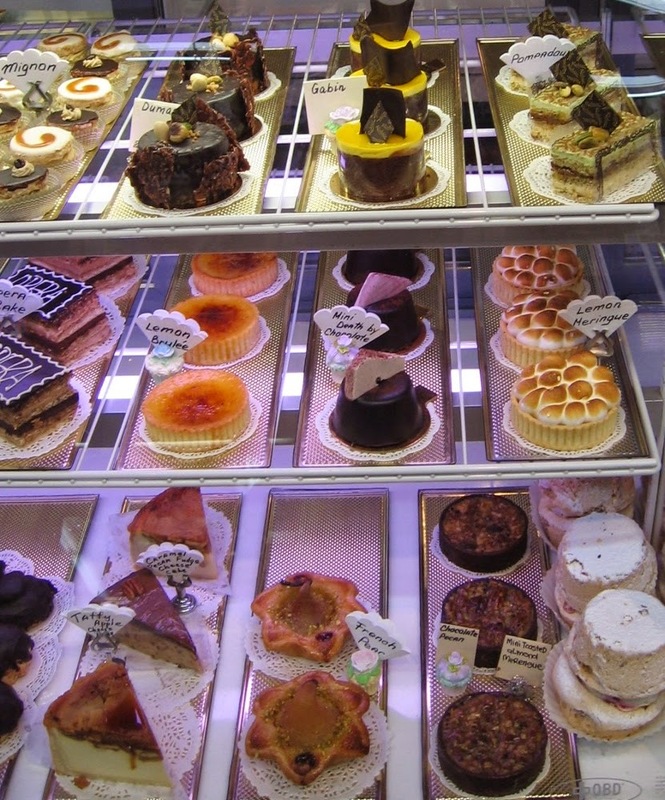 Some of these cakes have a homey quality to them and others are more slick in their presentation, never the less they all look wonderful and I would not say, "No thank-you not for me", to any of them. 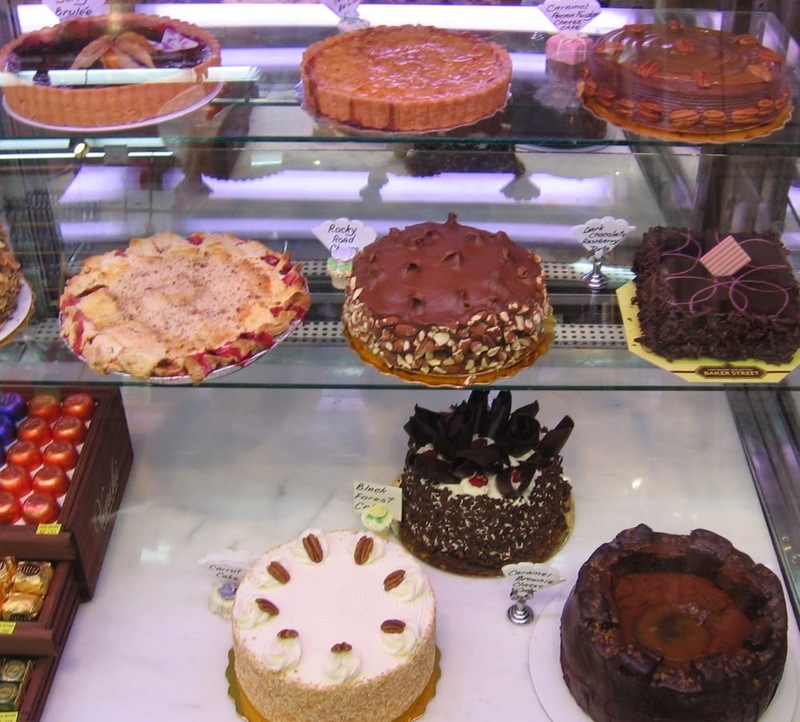 The other side of the showcase has more cakes in it. 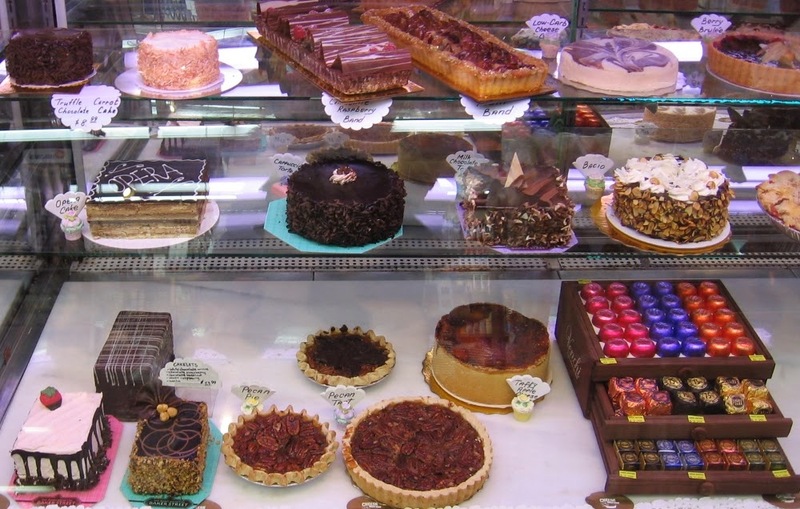 What are your favourite desserts or sweet snacks? 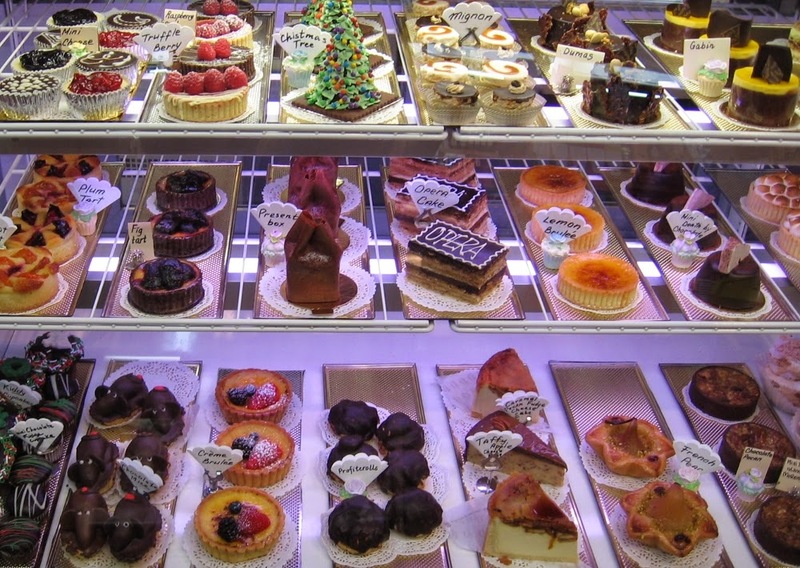 Is it a spectacular dessert from a fancy restaurant or is a more homemade treat that brings back found memories? Oh wow - after reading your post I could really go for a french meringue filled with real whipped cream - that is my all-time fave, followed by creme brulee, trifle, bannana cream pie and pote de creme, yep.. the list goes on from there.